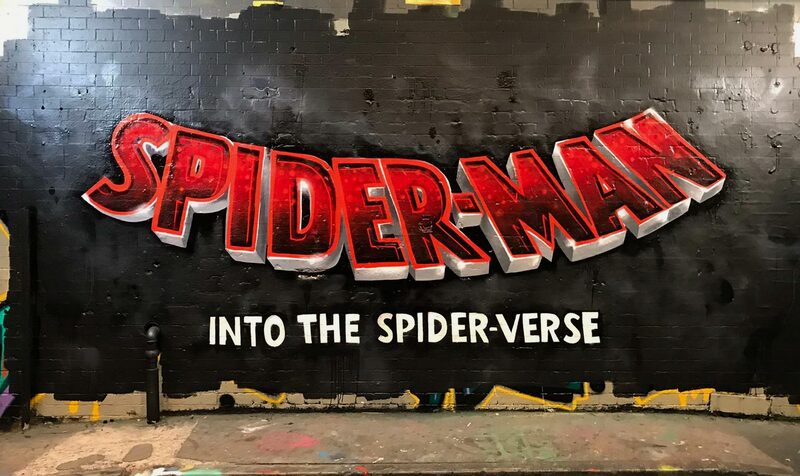 The Spider-Man: Into The Spider-Verse launch event was held at Leake Street Tunnels. 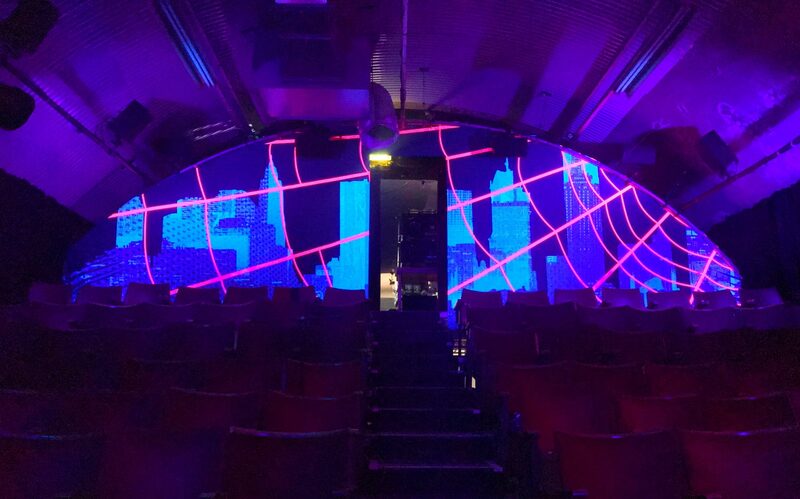 Slick Productions tasked Octink to provide an 8m wide theatre banner which reacted under UV light. 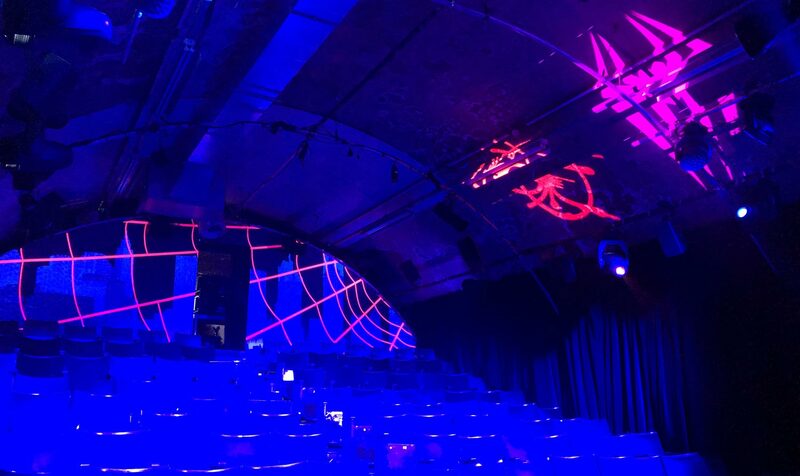 The launch event lasted only 4 hours on Sunday 28th of October in the immersive venue at the back of Waterloo. Octink completed the install through the night getting everything ready for the event. Octink only had a few weeks to prepare for this project. As a result our in-house Events Team jumped into action. We looked at UV inks, fabric options and fluorescent vinyls, making use of our lighting booths to test the substrates. Eventually we settled upon a printed canvas-variant as the base, featuring city-scape scenery from the film. This fabric was the reactant under UV lighting conditions. After that fluorescent pink vinyl was then overlaid onto the banner in webbing designs. This subsequently resulted in stunning visuals matching the aesthetic of the movie. In conclusion, alongside the promotional graffiti, way-finding signage, stickers and display graphics, our UV banners complimented the launch perfectly. We were praised by the client and we have been asked to work with them again on 2019 launches! Do you need a production partner for your launch, event or exhibition? We are the experts with a dedicated in-house events team! Email us here or fill in the contact form below so we can help.